Official QR Code® Reader App. "Q" enables you to read small or sophisticated codes very quickly. 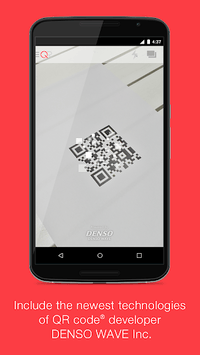 Other than reading QR Code®, the app supports reading Barcodes and the FrameQR® which is newly developed by DENSO WAVE INC. 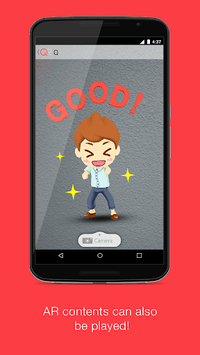 The app is the newest official QR Code® reader which also includes functions such as, creating QR Code®, posting on SNS, and playing AR contents. 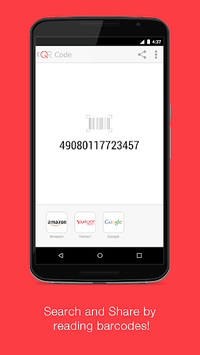 ・After reading barcodes, automatically generate links to product pages of Amazon and Yahoo! Shopping, and Google Search. The function to hide title of reading history has been added. ・Optimization of QR Decode Engine. ・Chinese language (China, Taiwan, Hong Kong) compatibility. ・The URL scheme has been supported. ・The function to delete read-out history has been added. *QR Code®、FrameQR® are registered trademarks of DENSO WAVE INC.
*DENSO WAVE INC. is a subsidiary of Denso Corporation. *""Q"" is joint-developed by DENSO WAVE INC. and Arara Inc.
*Denso Wave Incorporated and arara inc. have co-developed a website 「QR Code Maker（https://m.qrqrq.com/）」which allows not only the creation of regular QR codes but also with additional services with free of charge.